A Blog to communicate, collaborate, and learn with my students! 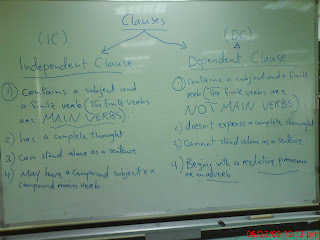 The image you see was taken during our grammar discussion in class on Clauses. Hope you find it clear and useful. EFL/ESP instructor at Kuwait University, and a Webhead in action!